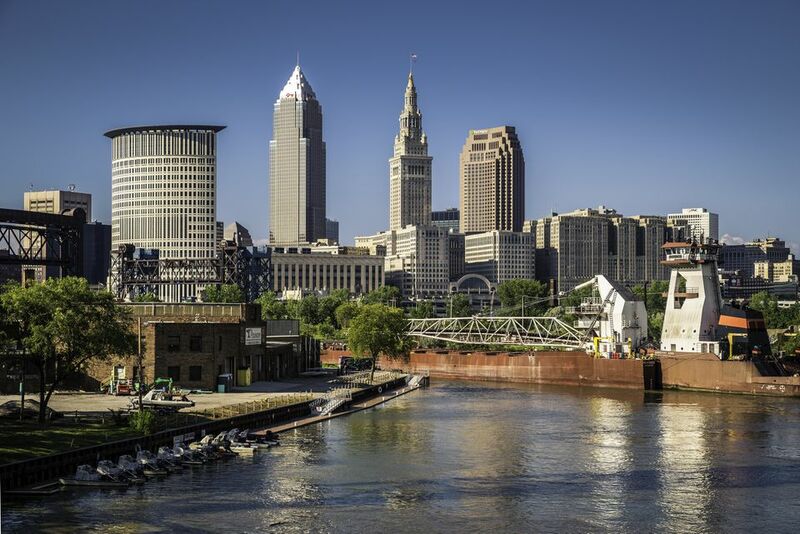 Cleveland has been the home of a number of notable singers, songwriters, and music artists. Among them are Tracy Chapman, jazz pianist Jim Brickman, and 70s pop star Eric Carmen. It's a mixed group, to be sure, but all are important in their genres. Adult contemporary pianist and songwriter, Jim Brickman, grew up in Cleveland and attended both Cleveland Institute of Music and Case Western Reserve University. His music career includes 15 CDs, 3 no. 1 Billboard hits, 3 gold records, 1 platinum record, and a Grammy nomination, among other honors. He has played at the Ford Theater, Carnegie Hall, and the White House. He released two CDs in 2006: Escape and Christmas Romance. Born in Cleveland in 1964, folksinger and songwriter Tracy Chapman began appearing in coffeehouses while attending Tufts University in Massachusetts. After graduation, she signed with SBK Records and her CD "Tracy Chapman" was released in 1988. It went multi-platinum and earned her four Grammy awards, including "Best Artist." Chapman has released six other CDs, including "Where You Live." Eric Carmen, a songwriter, frontman for the 60s group "The Raspberries", and solo artist, grew up in the eastern Cleveland suburb of Lyndhurst. He enrolled in the Cleveland Institute of Music children's program at 3 and attended Brush High School and John Carroll University. Carmen is best known for his 1976 pop standard "All By Myself" and his movie anthems: "Almost Paradise" from Footloose and "Hungry Eyes" from Dirty Dancing. Carmen returned to Cleveland with his wife and two daughters in 2004. He now concentrates on his songwriting. The James Gang was formed in Cleveland in 1966 with Jim Fox on drums, Tom Kriss on bass, Phil Giallombardo on keyboards, and Ronnie Silverman and Glen Schwartz on guitar. Joe Walsh (see below) replaced Schwartz in 1968, shortly before the group gained national exposure. Their James Gang Rides Again album is considered a rock classic. Although the group disbanded in 1976, members of the band have reunited for various events, including a concert for Bill Clinton in 1996, a Rock Hall fundraiser in 2001, and a US tour in 2006. Grammy-award winning Bluesman, Robert Lockwood Jr. was a Cleveland institution. Born in Arkansas, he brought his soulful sound to Cleveland in 1961. He played weekly at Fat Fish Blue, downtown, as well as other periodic gigs around the region, into his 90s. Robert Lockwood passed away in 2006. Dean Martin was born Dino Paul Crocetti in 1917 in Steubenville, Ohio. He was a singer, an actor, a comedian, and a member of the famous duo "Martin and Lewis" and the 60s iconic group "The Rat Pack" with Frank Sinatra and Sammy Davis Jr. Martin got his first music break in Columbus at the State Restaurant and honed his craft as primary vocalist for the Sammy Watkins orchestra in Cleveland in the 1940s. Martin is best known for his recordings of "That's Amore" and "Everybody Loves Somebody" among others. The O'Jays, originally called the Triumphs, were formed in 1958 in Canton Ohio by five high school friends: Walter Williams, Bill Isles, Bobby Massey, William Powell, and Eddie Levert. Associated with the 1970s "Philadelphia Sound," their hits include "For the Love of Money" (now the theme for the TV show "The Apprentice") and "Back Stabbers." The O'Jays were inducted into the Rock and Roll Hall of Fame in 2005. They continue to perform. Akron native and former Kent State student, Chrissie Hynde formed punk rock band The Pretenders in London in 1978. The band has changed personnel several times with singer/songwriter Hynde as the only constant but continues to perform. The band's hits include "Don't Get Me Wrong" and "My City is Gone," a song Hynde wrote about Akron's downturn in the 1980s. Hynde opened a vegetarian restaurant in Akron in 2007. The Michael Stanley Band is a Northeast Ohio regional favorite. Formed in the mid-70s, the band is best known for its songs "My Town" and "He Can't Love You." Frontman, Michael Stanley was born in Cleveland, raised in Rocky River, and attended Rocky River HS and Hiram College. Never quite able to break through to a national audience, MSB continued to fill area concert venues until they broke up in 1986. After the break, Stanley still worked in the Cleveland area, as a TV host on ​Cleveland PM and as a DJ for WNCX 98.5, a job he stills holds. Stanley and his new band, the Resonators, still perform periodic concerts. Frankie Yankovic was a Cleveland original. Raised in Cleveland's Collinwood neighborhood by Slovenian parents, Yankovic learned the accordion at a young age. In 1948, he recorded his breakthrough hit "Just Because," one of over 200 albums he would record. Yankovic performed with a variety of entertainers in his over 50-year career, including Doris Day, Chet Atkins, Don Everly, and more recently, Drew Carey. Yankovic won a Grammy award in 1986, the first ever awarded in the Best Polka Recording category.